Whether you are an uptown girl or a downtown man, you know that exploring New York City can be harsh on your feet! 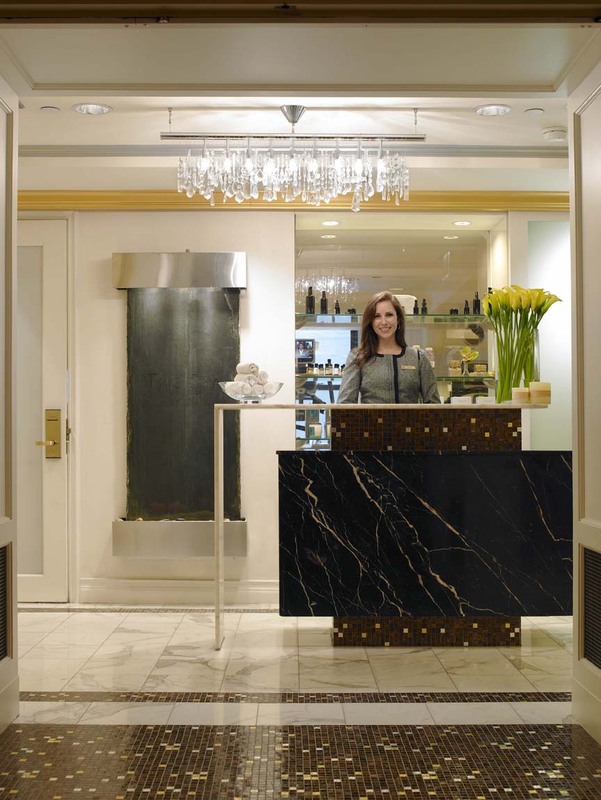 The solution is all in the hands of one of Manhattan’s luxurious Spas, just literally step into The Spa at the EssexHouse. The Spa is an intimate and tranquil sanctuary, offering a full menu of services so if you are short on time, enjoy a new addition for the summer heat; The Soothing Sodashi Mint Foot Therapy Treatment, which features the oils of Arnica, Lavender, Peppermint & Spearmint that cool and soothe tired aching feet and legs and reduces swelling. The Spa is under the direction of Spa Director Gaylen Marano who has her finger on the city pulse creating therapies to keep all the clients refreshed, so they can totally enjoy their stay at the Essex House and get the most out of New York City. Claudia Lee, a Lead Therapist, suggests this beneficial add on treatment to all guests who are having massages, facials and body treatments. Being dual licensed in both Massage Therapy and Esthetics, her combined skill set has effectively created the ultimate experience in relaxation & rejuvenation for the guests. Claudia’s unique dual abilities enable her to create personalized treatments, she begins The Soothing Sodashi Mint Foot Therapy Treatment, by scrubbing the lower legs and feet with an invigorating Himalayan salt, known to refresh the skin and stimulate circulation. Then, she massages Sodashi’s Mint Foot Soother into the feet and lower legs to provide total relaxation, having a foot massage from a massage therapist is an experience so different from just applying foot lotion into your own feet. Pressure points are relaxed; channels released and stress just moves away from your entire body. Sodashi skin care products are luxurious, effective and 100 % chemical-free. Made using the highest quality natural ingredients, all of which are pure and unrefined, Sodashi formulations penetrate deeply into the layers of the skin to nourish, balance and rejuvenate. In Sanskrit, Sodashi translates to “wholeness, purityand radiance” and these words aptly describe Sodashi’s product line and unique spa treatments. Produced in Australia, Sodashi products contain only natural ingredients from the earth and sea, including extracts and essential oils of the purest and highest grade. After this wonderful and so necessary treatment in New York ask the team about their treatment menu of massages, facials and body treatments using all-natural Sodashi skincare products. Spend an hour or the day indulging in their rejuvenating treatments, relaxing in the sauna and steam baths or you can even keep up your fitness regime in their 24-hour fitness center. Once you have finished your treatment you can really walk out and have Central Park right at your finger tips or should we say right at your Sodashi Mint Foot Therapy Treated feet, now you can enjoy New York City.